Server autoscale dynamically scales a server pool, by adding new pool members (scaling out) or removing them (scaling in). 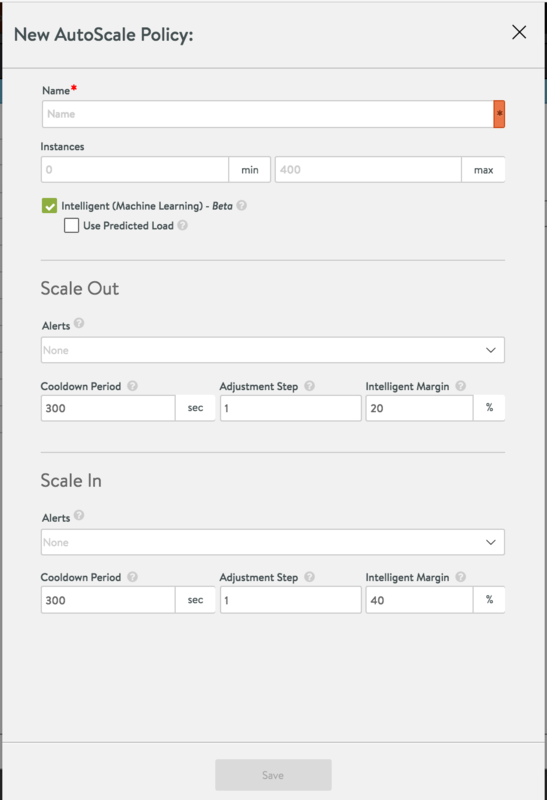 This article exposes steps by which to configure server autoscale from the UI. 1. Click the pencil icon to open the Avi Vantage pool editor. 2. 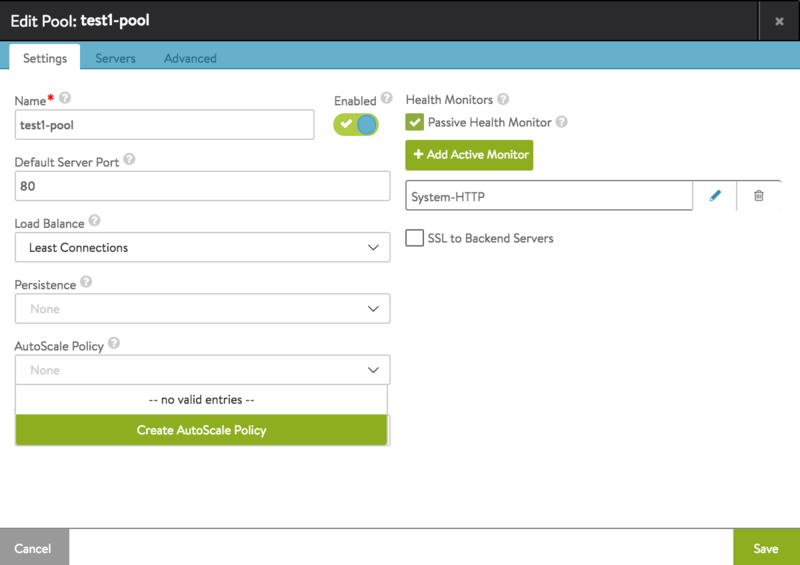 Click the down-arrow to select from pre-existng autoscale policies or to create a new policy. 3. Furnish the required autoscale policy parameter values, as explained below. Name: Name the autoscale policy (for potential re-use with other pools). Instances: Set the minimum and maximum number of servers (instances) allowed in the pool. Intelligent (Machine Learning): Off by default, Avi Vantage’s intelligent machine learning algorithm bases autoscaling decisions on a comparison of the load on the pool and the estimated capacity of member servers. If this option is checked on, the Use Predicted Load option will be made visible in UI; it uses predicted load instead of current load. Alerts: Type of alert that will trigger a scale out or scale in. Cooldown Period: Minimum amount of time between two consecutive scale outs or scale ins. Adjustment Step: Number of server instances to add or remove with each scale out or scale in operation. Note: The adjustment step is not allowed to exceed the minimum or maximum number of allowed server instances. Intelligent Margin: Minimum extra capacity as percentage of load used by the intelligent machine learning algorithm. Scale out is triggered when available capacity falls below this margin. © 2019 Avi Networks. All rights reserved.